The Nationwide Insurance: JJMG Insurance Agency, LLC in San Antonio, TX provides the following products. To learn more about each insurance product, click on the links below. JJMG Insurance Agency, LLC is your go-to source for friendly, knowledgeable advice about your San Antonio auto insurance. It doesn't matter if you're trying to determine the right claim limits for your household, or if you're a first-time owner of an RV, motorcycle, or specialty vehicle. Whatever your question, we can help you find quick, confident answers and speedily take care of your auto insurance needs. JJMG Insurance Agency, LLC customer needs run the gamut from meeting minimum requirements for the state of TX and finding low-as-they-go premiums, to building comprehensive, personalized coverage through various Nationwide programs. Along with higher claim limits, roadside assistance, rental reimbursement, and gap insurance are some of the popular options. You can also reward yourself for every year of claims-free driving by enrolling in the Vanishing Deductible® program. There are sizable discounts available to most customers, everything from good grades to multiple policy discounts. We also offer plenty of billing and payment options to make running your household just a little bit easier. Whether you're in our neck of the woods on 11398 Bandera Rd or no matter where you live in San Antonio, you can get the coverage you need with the JJMG Insurance Agency, LLC. Give us a call at (210) 314-7514 today. Part of protecting your family's financial future is purchasing appropriate insurance for your life situation. 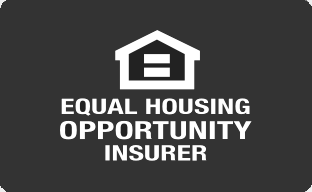 For homeowners, coverage for your property is important for your financial security. JJMG Insurance Agency, LLC offers several types of home insurance products so you can find the protection you need. 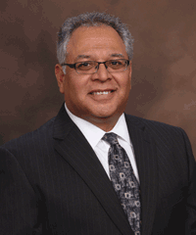 Speak with Joel Gonzales to find out which type of home insurance is the best for you. Just as homes can vary greatly from one another, home insurance policies do as well. You want to obtain coverage that will fully protect you against potential risks, without overpaying for coverage you do not need. The size and type of your home are just some of the factors that can affect which provisions you will want your policy to include. Call (210) 314-7514 or schedule an appointment for a consultation with Joel Gonzales in San Antonio to discuss your customized options. We at Nationwide want you to feel comfortable and secure with the protection you have. We know that your circumstances are highly individual and we want you to be protected from every angle. You can come into the agency office on 11398 Bandera Rd to speak with highly qualified insurance professionals who will give you the information you need to decide which policy to choose. Bringing home a new baby, like many of life’s happy events, also brings on new responsibilities. New obligations can be more easily shouldered if you take steps now to plan ahead. In order to provide long-term financial security for your family, you need a San Antonio life insurance agent who can help you understand the types of life insurance that best suit your family’s needs. The agents at JJMG Insurance Agency, LLC will help you safeguard your family’s future by helping you select the right life insurance. We will explain term versus permanent insurance and answer all your questions. We are here to help you assess your needs and will explain the difference between whole life insurance and universal life insurance. Whether you have a new baby on the way, or you brought your baby home several months ago, now is the time to plan for life’s eventualities. Call (210) 314-7514 and ask for Joel Gonzales or visit us at 11398 Bandera Rd,San Antonio,TX,78250. We will be happy to work with you to make sure your family’s financial security is always protected. When you are a business owner, stability is likely one of your top priorities. We at JJMG Insurance Agency, LLC understand this, which is why we teamed up with Nationwide, a company with an excellent history of insuring businesses. We want to make sure that your business has the basic coverage it needs as well as any additional coverage to fit the nuances of your situation. No business is exactly alike, and you'll want to consider factors such as your business location, how the business is run, and your target customers or clients when you assess insurance options. If you are unsure how or where to start, Joel Gonzales and our other agents may recommend that you select a businessowners policy (BOP). It combines property insurance, liability insurance, and other types of insurance coverage. After that, you can look at other insurance coverage options such as business interruption insurance, which can help keep your business going financially in situations such as vandalism or extreme weather. Other coverage types that may interest you include utility interruption, employment practices, and accounts receivable. We also have insurance solutions customized toward specific business types in San Antonio such as dry cleaners, real estate, and plumbing. Take advantage of an On Your Side® Review to determine the insurance coverage needs of your business. We will assess your business and give you information on what you may want to cover. Give us a call today at (210) 314-7514 or stop by our JJMG Insurance Agency, LLC office on 11398 Bandera Rd. The JJMG Insurance Agency, LLC also offers products in TX. Please call for information on products in those states. Our agency team has been serving the San Antonio, Helotes, and surrounding communities with auto, home and business insurance coverage since 2013. As a full-service insurance agency, it is our responsibility to find our members the right insurance protection they need no matter what. With our agency, you will feel right at home. Our top priority is doing what is best for our members. Whether it is buying a new auto or home or filing a claim, our agency will be there every step of the way. Our goal is to become a trusted advisor. We are proud to serve San Antonio, Helotes, Leon Valley and many other communities in San Antonio. Get an auto, home or business insurance quote today and learn about the benefits of our agency!